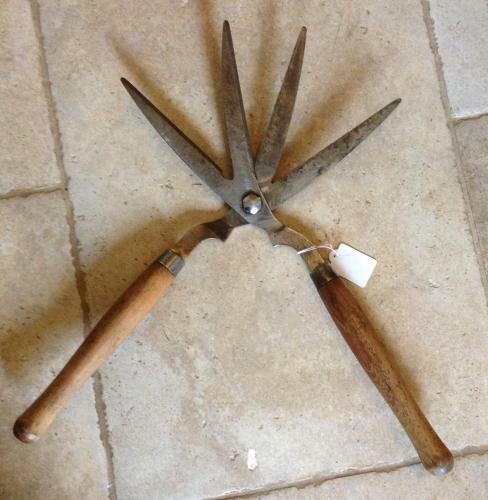 Unusual vintage double headed multi shears for hedge clipping. These are quite scarce to find so I suspect they didn't work as well as perhaps their competitors. Good useable condition with tight blades. Edward Scissorhands would love them!